Orientation in the Island of Fernando de Noronha. Get to know how to wander the little island of Fernando de Noronha. Orientation is key to explore this paradise Brazilian island in a very short time. From the airport, which is situated in the middle of the island, you can catch a taxi to your hotel or pousada or a bus which runs every half an hour or so along the main highway, the BR-363. The hospital and school are also located along the highway. At the Porto de Santo Antonio, several water sport offices exist, as do some bars and restaurants. 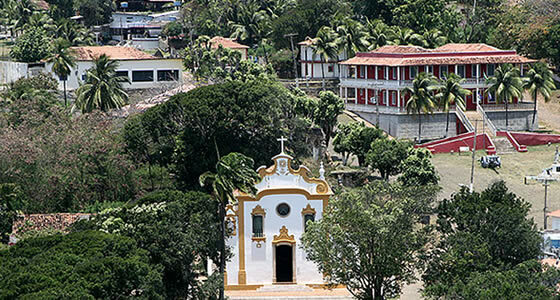 Close to the port is Vila dos Remedios, the most developed village in the island, where the city hall, church, post office and a couple of operator offices are. Another 1.5km(0,9 miles) away is Vila do Trinta, where the police station, pharmacy, main grocery store and some more restaurants are located. Get our free updates on the latest deals, news and articles about Fernando de Noronha and other destinations.